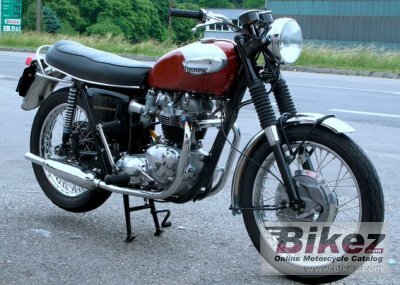 1968 Triumph Bonneville T120C Street Scrambler. Wikipedia. Submit more pictures. Fuel system: Carburettor. Amal concentric carburettor, 30 mm. Front suspension: Telescopic fork, hydraulic damping. Comments: Street Scrambler with high exhaust pipes. Ask questions Join the 68 Triumph Bonneville T120C Street Scrambler discussion group or the general Triumph discussion group.